By Kyle in Gadgets. Updated on August 3, 2018 . Alright, alright, calm yourselves, keyboard warriors, we know this is something most of you would probably not agree with because let’s face it, with over 80 percent of smartphone market share in the world, the Android mobile operating system leads the rest of the competition by a mile. Perhaps because it is the OS adopted by many leading brands of smartphones, fragmentation becomes an issue that plagues Android-powered phone. Here is a post by Azzief Khaliq that argues for and against the effects of Android OS fragmentation you should check out. Here, the Windows Phone’s fast and user-friendly OS plus its integration with Microsoft-linked products has given many users, particularly who work a lot with Windows products, a reason to consider the integrated mobile platform. On the surface, it offers the same functionality (and perhaps a bit more) as do other platforms but these are 10 features that you may find better on a Windows Phone than on an Android. 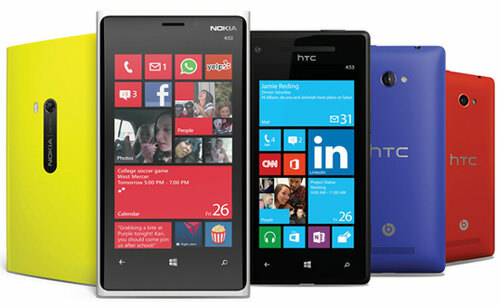 The biggest ammo to join the arsenal of Windows phones has to be Nokia’s partnership. With phones ranging from $180 to $425, sporting screen sizes from 4″ to 6″, Nokia has plenty of choices not just for the budget-conscious but also those are looking for a powerful, sleek phone, for instance like Nokia Lumia 1020 with 41 megapixel camera sensor and Full HD video. You definitely can get good value for your money if you just keep your eyes open for a good alternative phone, rather than stop looking once it isn’t on a “popular” OS. Although the Windows App Store lags behind the Play Store in terms of quantity, what counts with apps is the quality and so far Windows phones have the basic necessities covered. Windows Phone is not an open source platform and Microsoft has a stricter criteria set than Google about which apps and games can populate their respective marketplaces. As a result, the app store responds with superior and better apps, and cleaner options, than what Android apps can offer. They are consistent, gorgeous, minimalistic and in many cases, look better than they do on Android. I’d suggest you take a look at 6tag (3rd party app for Instagram), Spotify, Skype, and Facebook. Windows Phone with its mission to build an end-to-end product experience for its customers, has a soild built-in social media integrated hub that they use; it’s very smooth and fluid. 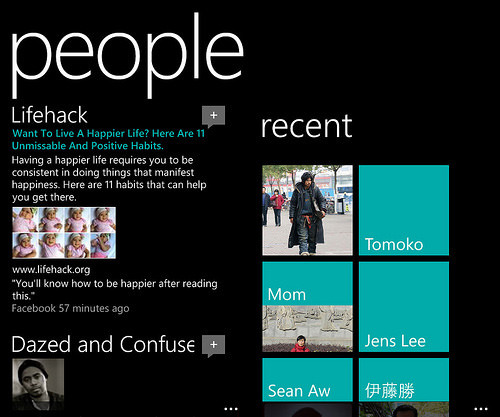 The People Hub gets updates from social networks like Facebook, Twitter, and LinkedIn. Rather than opening individual apps one by one, all your friends’ status updates and notifications can be viewed within the People Hub. Facebook integration on Windows Phone also makes it better than Android when it comes to tagging pictures. It also allows you to use your phone contacts as tags. You can switch between Facebook chat and normal text messaging with your contacts on Windows Phone. Those who are used to Microsoft’s service and software would be glad to know Windows Phone works well with Microsoft products like Outlook.com. OneDrive Skype, Xbox, and OneNote. 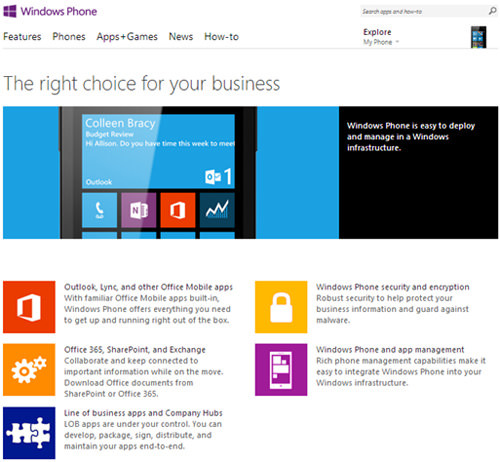 Unlike Android, Windows Phone comes with free Office in the OS itself. The mobile version is handy for on-the-go professionals. You can view and edit, Excel, PowerPoint and Word documents straight on your Windows Phone. It also integrates with OneDrive and users can save their compatible files on Microsoft’s cloud storage service. Android comes in so many shapes and sizes, so performance and quality are always a question. Windows Phone however works well on all levels of devices from the entry-level Lumia 520 to the high-end Lumia 1020 without any noticeable lag whatsoever. 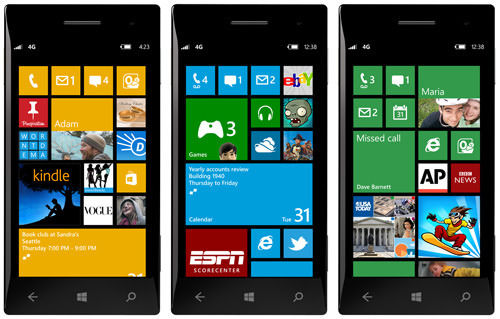 The minimalist design approach is applied at all Nokia’s Lumia range of devices and known for best build quality. 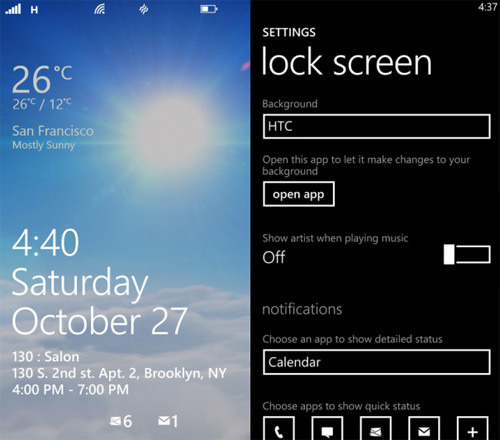 Windows Phone allows you to check out your notifications from your lockscreen. Not only you can change Background pictures in Lock screen settings, but Windows Phones also allow the integration of live apps on the lockscreen. Some of the better app integrations are Bing and Facebook. Bing displays the Bing Picture of the Day while Facebook displays photos from your albums. You can also choose from photos of yourself or create a selection of photos to be shown on your lockscreen. Another cool thing that you could do is to configure the lock screen to display artist information when playing music. If you own an XBox, Windows Phone has the perfect XBox integration to help you get the most out of your games, even on low-RAM devices. Microsoft has worked hard to integrate Xbox functionality, meaning you can work with your console avatar to gain points, check your Gamerscore, message your friends and see your avatar. Despite Android having more games, Windows Phones get Xbox games such as Asphalt 8: Airborne, Jetpack Joyride, Six Guns and FIFA 14 for free. 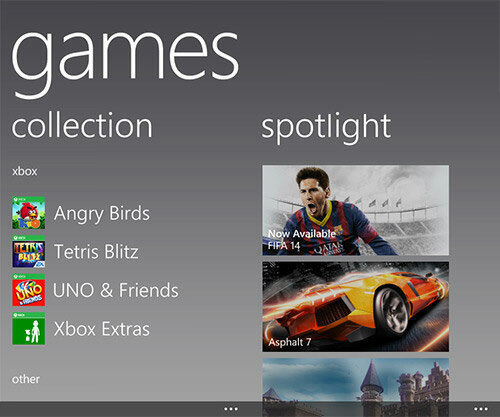 All of the games run smoothly; even on the low end Nokia Lumia Phones, playing games is a breeze. 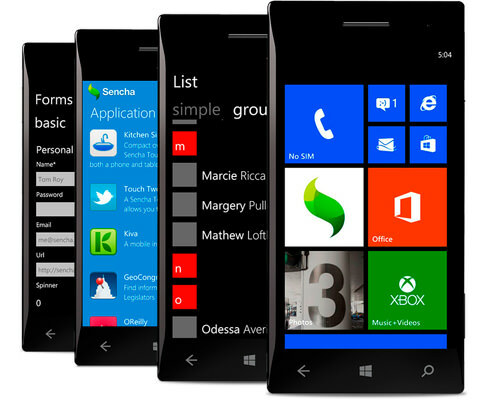 Windows Phones allow users to pin whatever they want and how they want. 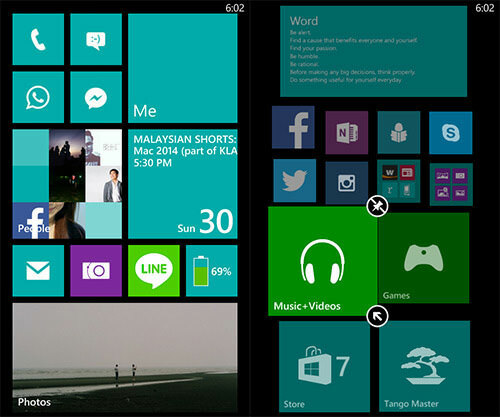 Instead of widgets, each app on your home screen acts as a Live Tile. They give you a quick glimpse of what’s going on in each individual app. We can see the time and weather via the weather tile and notifications from Twitter, WhatsApp, SMS and email all from the main screen. Widgets on Android are their own separate entities and their customized looks as designed by their developers. These designs thus can hardly mesh together aesthetically, especially without any form of standardization. Tiles, on the other hand, blend in and complement the overall aesthetic perfectly and they also change dynamically. Windows Phone have HERE Maps and HERE Drive integrated to its Lumia range, basically Nokia’s alternative to Android’s Google Maps. It comes with full offline capabilities. 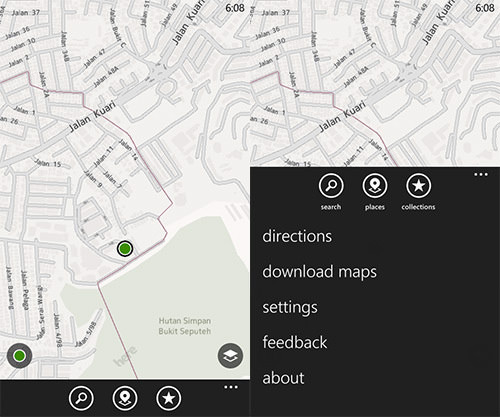 Some Android smartphones such as Galaxy S4 also has offline navigation in Google Maps, but while Google Maps only allows you to download small areas of offline maps, you can download maps of countries with the Nokia Lumia Phones and navigate across the country without a data connection while driving. 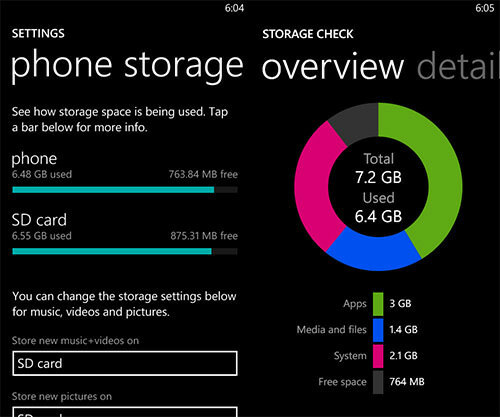 Most Windows Phone, even the entry level ones have 8GB of internal storage and supports a microSD card of up to 64 GB. The free 7 GB cloud storage from Onedrive makes it even better. This reduces the need to fall back on third-party online storage solutions, which may come with compatibility issues. OneDrive lets you backup content to the cloud, Windows tablets, PCs, and of course the Windows Phone. While Android offers greater app flexibility, Windows Phone offers great potential, better integration over more platforms and fluidity. With the changing smartphone market, the world needs a solid platform that has quality and the potential to develop into a full range solution, that spans across mobile, desktop and the cloud. The strategies are already in place, and if Nokia and Windows Phone can weather the storm, they may one day be able to unseat Android from its iron grip of the smartphone OS market.